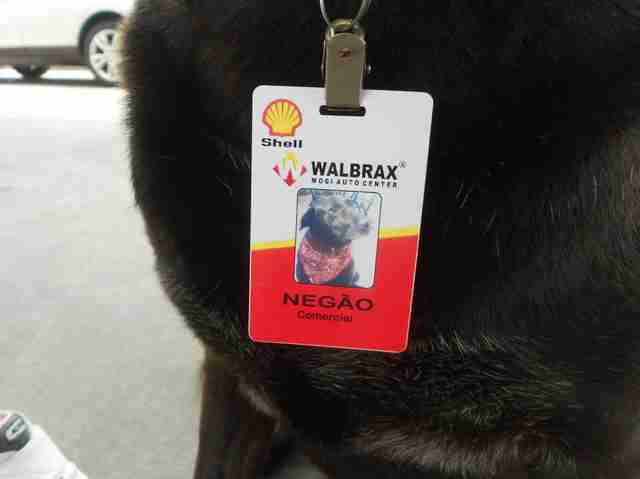 He even has his own ID badge. 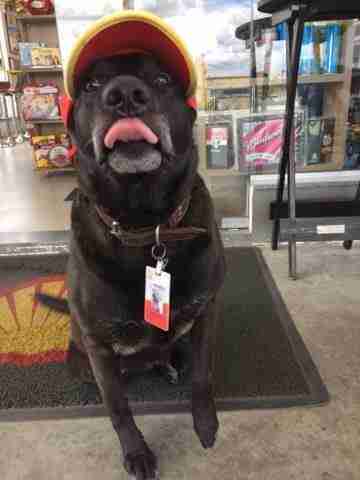 This friendly dog, named Negão, might not be your typical gas station employee — but he is certainly one of the sweetest. Sadly, though, things weren't always so good for him. Two years ago, Sabrina Plannerer and her partner purchased a Shell gas station under construction in the town of Mogi das Cruzes, Brazil. It was around this time that she discovered the adult dog roaming around the site, after he'd been abandoned there by his former owner and was too frightened to leave. So, rather than try to shoo Negão away, they stepped in to help him. "We adopted him immediately and got him all the care animals need," Plannerer tells The Dodo. "We took him to the vet to get vaccinated and de-wormed. We bought him food, a dog house, and a leash to take him on walks." ... and an employee badge to prove it. 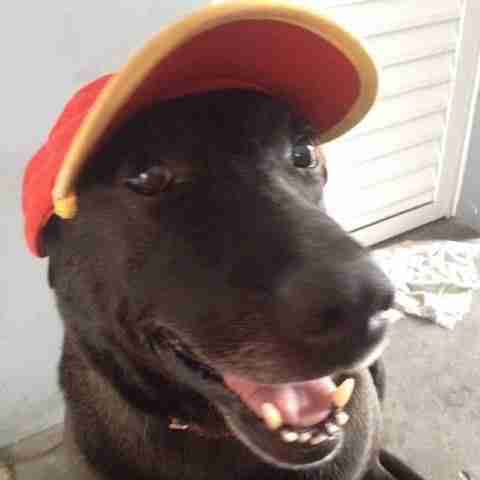 Plannerer wasn't sure at first how Negão would react to the sudden bustle of business in the place that he'd been calling home, but the happy dog has proven to be a natural at providing world-class customer service. "Negão waits for people to arrive, and then goes up to say hello, winning them over with his charms," Plannerer says. "Customers love him. Some people even bring him toys." As much as the dog enjoys his job as greeter, his life isn't limited to these brief encounters. Each day, Plannerer or another employee takes Negão on walks through town for exercise. 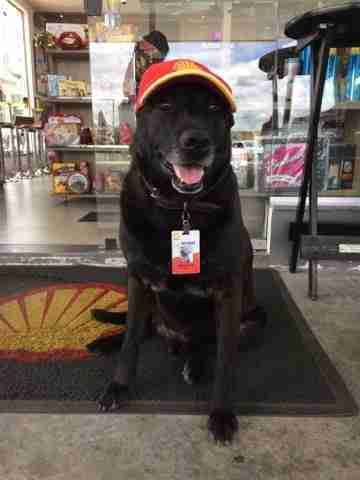 And the gas station is staffed 24/7, so there's always at least one coworker close at hand to make sure he's happy and safe. Negão has become a poster-pup of sorts for a local initiative from the charity Grupo FERA, which aims to pair needy stray dogs with businesses in the event that they cannot find a more traditional home. "It's been sensational, encouraging people to have more respect for animals," a spokesperson from Grupo FERA tells The Dodo. 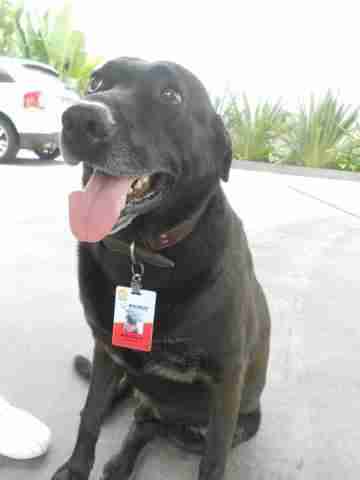 "And workers enjoy having the companionship of a four-legged colleague." Plannerer agrees — saying she hopes Negão's story might influence other establishments to hire a canine staffer, too. 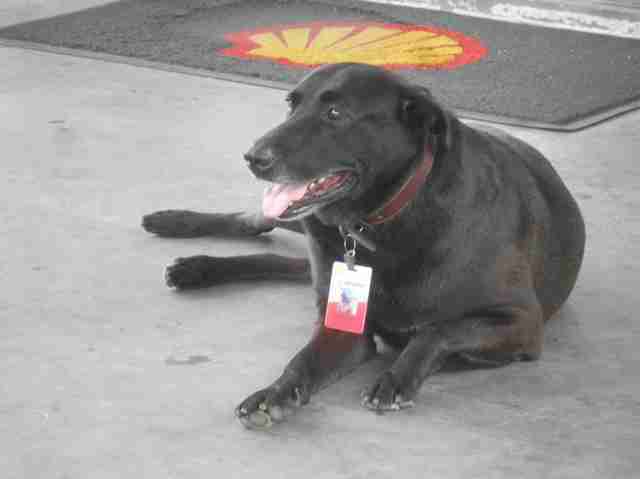 After all, who wouldn't want to be greeted like this when stopping to pump gas?